Larry Latham formed a tag team with Carl Fergie called “The Ragin’ Cajuns” managed by Billy Spears in the Gulf Coast territory. 1979-1980: Larry Latham formed a tag team with a young Wayne Ferris known as “the Blonde Bombers”, managed by Sgt. Danny Davis. Larry Latham and Wayne Ferris were a part of the now the infamous Tupelo concession stand brawl with Jerry Lawler and Bill Dundee. Larry Latham wrestled as “Spot”, a member of the famous Moondogs in Memphis, Georgia, the WWWF, USWA and Smokey Mountain! ~~~March 17, 1981: The Moondogs (Rex and King) beat Tony Garea and Rick Martel to win the WWWF Tag Team titles. ~~~When King left the WWWF, Spot replaced him as a Tag Team champion. ~~~WWF Wrestling Classic: Moondog Spot beat Terry Funk in the first round of the tournament. Early 1992: Moondog Spot and Moondog Spike helped stage yet another Consession Stand brawl against Jerry Lawler and Jeff Jarrett. March 5, 2003 – NWA^TNA: Moondog Spot makes a surprise appearance sitting in the crowd in Nashville. March 19, 2003 – NWA^TNA: Moondog Spot and Jim Duggan defeat Mike Sanders and Glen Gilbertti. 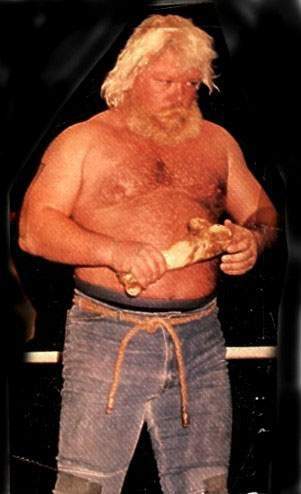 November 29, 2003: Larry Booker (aka Larry Latham/Moondog Spot) passed away after collapsing in the ring during a match. ~~~Moondog Spot was working a show at the Mid South Coliseum in Memphis and was rushed to Methodist Central Hospital.